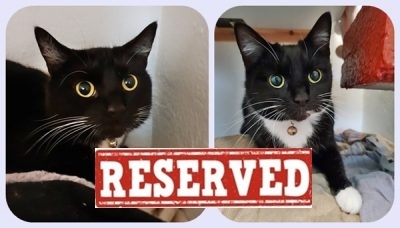 Published 11th February 2019 at 400 × 228 in Cats Looking For Homes. ‘Hally’ & ‘Sal’ 3 year old brother & sister. These two are looking for a home together due to allergies in their previous home. They are still a little nervous yet so can’t be homed with under 10’s.